The most successful Scottish Borders Walking Festival in 19 years was held in September, and saw one thousand people visit the beautiful countryside the Borders has to offer. Colin Kerr, Organiser of the Scottish Borders Walking Festival, explains that their use of ViewRanger has brought the festival into the new digital era, allowing visitors to enjoy the best of the Borders. “This year’s event was a great success and we even had visitors from Australia, the Czech Republic and Finland coming just for the festival! “Our festival took place over a week and included over 30 routes covering everything from fruit foraging and school walks, to historical and photography walks. The event was very popular this year, and we were sold out for four of the seven days. 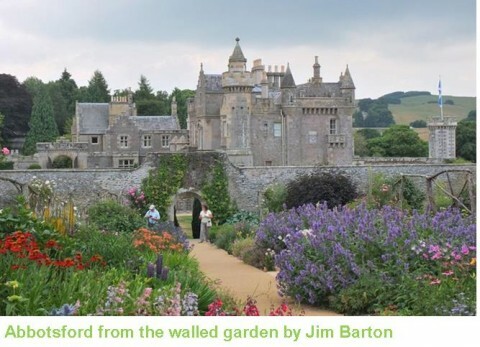 Scott set some of his novels in the Borders and built up the estate in a series of extensions, culminating in something likened to a fairy tale palace, complete with suits of armour, a library with 9000 volumes, oak panelling and carved ceilings. Scott’s legacy lives on today as he is featured on every Scottish Banknote, thanks to his own successful campaign in 1826 to keep the Scottish one pound note. Legacy is something Colin Kerr is keen to maintain for the Scottish Borders, and he thinks this is something the festival can go a long way to achieve. ViewRanger hosts thousands of walks and cycle routes across the country which can be viewed online as well as downloaded to a user’s smartphone. Once downloaded the user can follow their chosen route with the ViewRanger app. The GPS technology on the smartphone allows the ViewRanger app to show exactly where the user is, in relation to their route. ViewRanger widgets are a bit of software code that adds an interactive map to a website really easily. 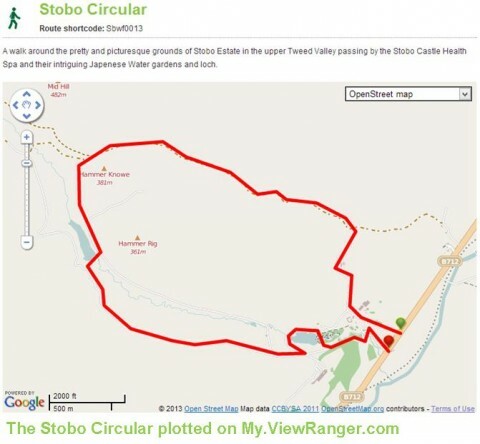 “Having routes on the ViewRanger site was a win win for us. Not only were people able to see which routes suited them and where the routes went on a map, but also, if people are looking for routes in the Scottish Borders in the future and want some recommendations on where to go, they can download our routes to their phone. “This is so important to our idea of creating a legacy for the area, and putting it ‘on the map’ as a great place to visit for walking. Not to mention the benefits of increased footfall for local businesses like hotels and restaurants, creating a future for tourism in the Scottish Borders. 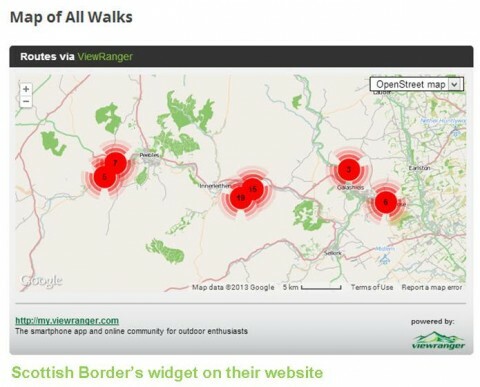 If you want to publish widgets of your own ViewRanger routes on your blog or website, just copy and paste the widget code from any of your route pages on the my.viewranger.com website into your site HTML.